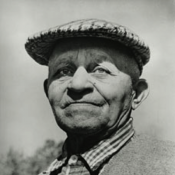 Shippen, an African American/Native American golfer who competed in several of the early U.S. Opens, was believed to be the first American-born golf professional. At the age of 16, Shippen earned an assistant professional post at Shinnecock Hills Golf Club where he began giving lessons to some of the club members and became an accomplished player in his own right. With the 1896 U.S. Open to be contested at Shinnecock, Shippen entered the championship over the protests of several English and Scottish professionals in the field. He finished fifth in the championship and went on to compete in five more U.S. Opens, the last in 1913. He eventually served as a golf professional at several clubs, including the famed Aronimink Golf Club in Newtown Square, Pa., with his last stop at the Shady Rest Golf Course in Scotch Plains, N.J., in 1924. He remained there until his retirement in 1960. Today, the John Shippen Foundation and Youth Academy in Scotch Plains is named in his honor.